For a long time, the concept of self-driving vehicles has belonged firmly in science fiction. And yet for the trucking industry, it could well be the reality of tomorrow, particularly where warehousing and distribution is concerned. We all know about the recent spectacular failure of the Google self-driving prototype, which reassured many skeptics that robotic revolutions in transportation were still safely located in the distant future. But other than Google’s PR mess, there are other innovations quietly taking place across the world where a good deal of success is being experienced. Take a look at Daimler, the German multinational automobile company and owner of Mercedes-Benz, who have had a semi-autonomous freight truck in development for a number of years now. They plan to release in 2020, and the ‘Freightliner Inspiration Truck’ is already officially licensed to operate on the highways of Nevada. Closer to home, there are the likes of Tesla who are leading conversations on self-driving trucks in the US. The company, which is now valued at more than the Ford Motor Company, has been discussing an all-electric truck called the ‘Model 3’ which they envision as being the first mass-produced all-electric freight vehicle on the market later in 2017. Since connected vehicles will be the basis for all self-driving vehicles, this really is the start of something exciting. Whether it will live up to the hype is yet to be seen. It’s not just manufacturers who are keeping the futuristic potential of transportation management in mind either. In Michigan, there is a $15 million statewide connected vehicle infrastructure program currently underway which will see hundreds of charging stations installed and ready for use in the coming years. The Michigan Public Service Commission has taken a great deal of interest in this initiative, given the advantages it would bring to both the climate and the grid network. So what do these advancements really mean about the reality of self-driving trucks in the future? 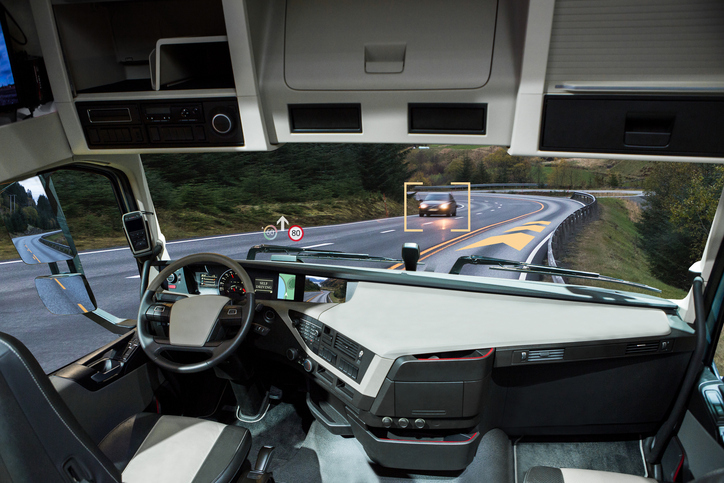 In truth, the technology that would need to be developed to enable a fully autonomous truck to navigate the perilous roads of Michigan simply does not exist yet. But with serious infrastructure being put in place for connected vehicles and explorations underway to create semi-autonomous vehicles, we are much closer now than we have ever been.